Athena is a widow and an accomplished businesswoman. She's the type of person who exceeds expectations in business, family--life in general. Since the death of her husband, she's had a desire to explore submissive cravings she's had for some time. The hitch is, Athena is known as a Mistress, because that's the role she played to her husband. Though she knew her submissive nature was strong enough to serve her husband as a Domme, because that's what he needed, it's when she meets Dale, a retired Navy SEAL, that she attempts to discover what her own submissive desires are. But letting go of that control is harder than she expected. Fortunately, Dale is an accomplished Master who can help her accept the true nature of her submission, rather than how she's tailored it to meet the expectations of others. But in the course of learning what letting go means, both of them will learn a bit more about the nature of love between Dominant and submissive, and how it defies all categories. Good morning, Star! Thank you for posting the book info about Unrestrained. It's so lovely to be at Illustrious Illusions! I'll be cruising by throughout the day (except for a block of time where the DH is taking me to see Frozen - yay! ), so if anyone has any questions or comments about anything, I'll be happy to answer. Otherwise, I hope you all enjoy Dale and Athena! Oh, and for a limited time, the FIRST THREE CHAPTERS are available as a PDF download on the book page of my website. Just go to http://www.storywitch.com/book-nst-lg and look to the right of the cover, under the RT Top Pick designation. Enjoy! Oops, forgot to click the notify button. Don't want to miss anything! Definitely have this on my amazon wish list! I love your books!!! Kimberly, that's awesome! I have a bunch of movies on mine (I'm a big movie buff). My husband always rolls his eyes at me and says "all you ever want as gifts are movies", but I love a well-told story, whether it's book, TV show, movie, etc...Hope you get everything you want on your wishlist this season, including Dale and Athena! Loving that Dale and Athena are in my age bracket and their story is so hot! Had to chuckle when Athena pulled out her reading glasses early in the story, so true to life. Thank you, Joey, for your attention to detail! I just told my daughter that I wanted her to buy me this book as payment for babysitting. lol So when Monday rolls around I'll be cuddled up with my Kindle. Woohoo! I just finished reading the 3 chapter excerpt. Oh my, the chemistry between Dale and Athena leaps off the page. I was immediately pulled into their story. Payday cannot get here fast enough. Shelly, glad you enjoyed that glimpse of them and hope the rest of it lives up to expectations. 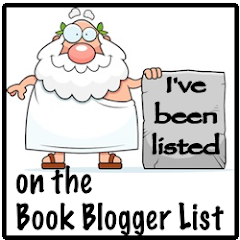 Thank you so much for adding it to your TBR list!